The smartTensioner BoltTensioner (BT) is used to tension bolts hydraulically and to lock the tension with conventional hexagon nuts. The BT is a tool that is used for tensioning and detensioning and does not remain on the bolt. The BT offers the advantages of purely hydraulic bolt tensioning in environments where the original nut must be used, e.g. due to license reasons. However, BTs are heavier than HTU or HMTU systems and more demanding to employ. 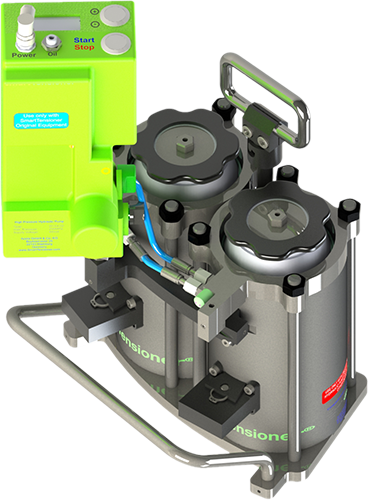 All BTs can be used as a standalone solution or as a tensioning ring (MultiStudTensioning MST). While the maximum force is comparable to HMTU tensioners, the setting losses using the conventional nut to lock the bolt force are somewhat higher. smartTensioner BT can be used on bolts as small as thread size M8 (1/4") all the way up to M150 (6"). Since the pump is directly connected with the tensioning device without any hose connectors, tensioning of bolts with small thread diameters is possible. For example, a BoltTensioner for M8-threads weighs only little more than a torque wrench and is smaller. 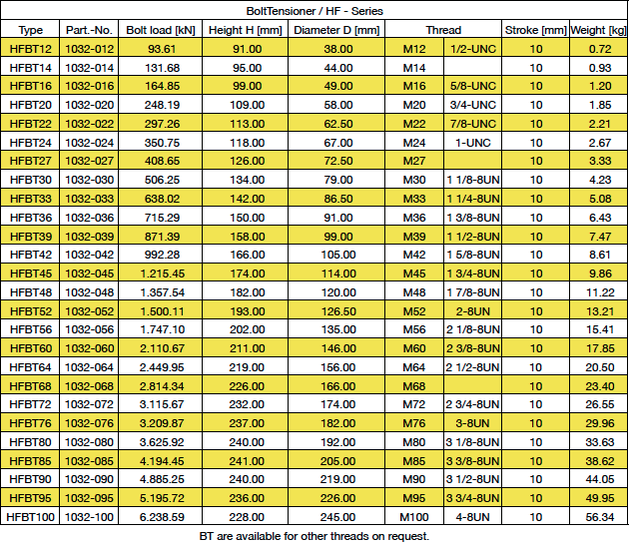 The HF series allows very high forces (max. 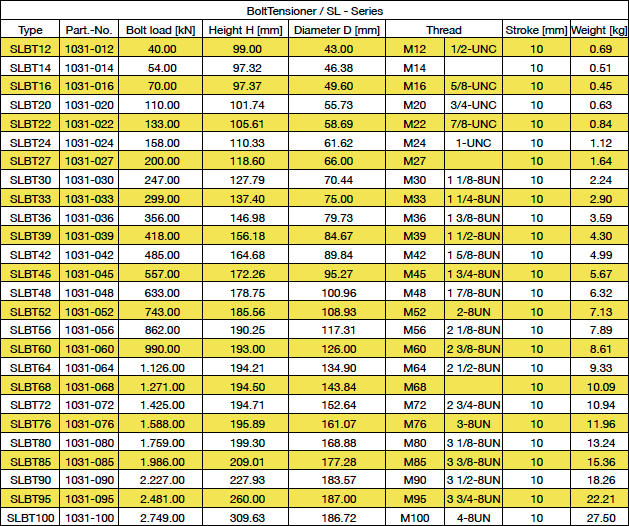 bolt stresses at approx. 850 MPa) with still relatively small diameters and low weight. The SL series only stresses the bolts up to 350 MPa but is much lighter and smaller in diameter. For thread sizes M8 (1/4") up to M56 (2 1/4"), several BTs can be combined on one base plate and operated by one pump (MBT). The base plate follows the flange geometry. Operation and handling are easier and faster than using each BT individually. 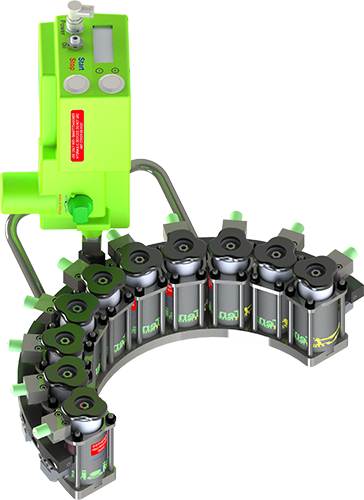 The operator only needs to put two or more MBTs on the flange and either turns the puller on the bolts or – the faster method - uses the Quick Coupling Device to easily connect the bolts with the puller. Then only the power cord needs to be connected – that’s all! 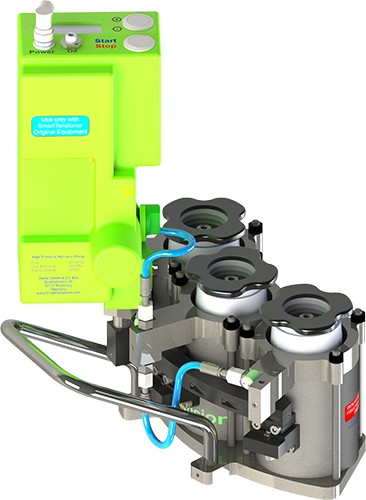 The smartTensioner BoltTensioner operates with high hydraulic pressure. That allows smaller diameters and lower weights of the BT in combination with higher bolting forces. Optionally, an automated nut turning feature can be integrated. 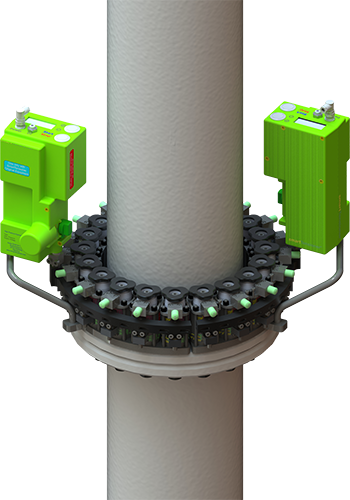 It turns the hexagon nut of the bolt in the tensioning and detensioning process using a small motor integrated in the BT. The level of torque applied can be defined by the operator. An integrated ElectricNutDrive is available. After using the BT, the piston is often not in its initial position. Especially with larger BTs, pushing the piston back is difficult and cumbersome. With our HPR, turning the knob on the HP is all that is required to start the hydraulic piston return process. A small sensor detects if the piston should be moved beyond its stroke limits. Since the pump is directly connected to the BT, it will stop automatically and prevent failures. 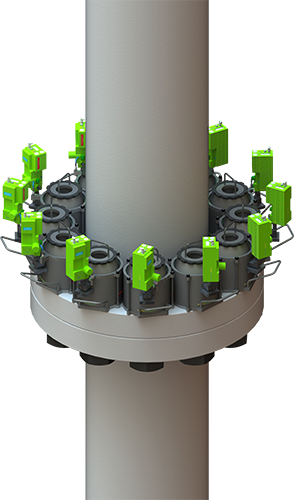 All BTs use a small gear box to turn the hexagon nut using an adapter that is simply placed on the nut. The operator is able to turn the nut with a hexagon. Alternatively, an electric screwdriver or a torque wrench can be used. This allows the application of torque in the tensioning process to be controlled. Instead of turning the puller on the bolt, a quick coupling device is available. More information is available on request. Each BT cylinder is equipped on the top side with a smaller hydraulic cylinder and annular piston that is unpressurized in regular operation. 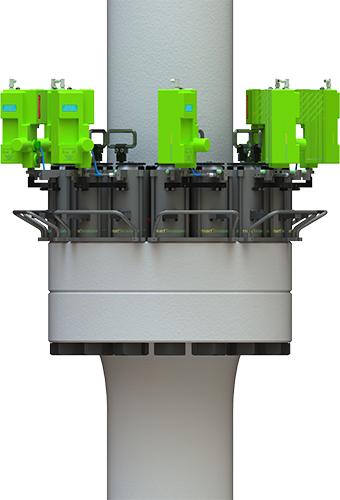 To return the main piston to its initial position after use, the HPR is pressurized and moves the main piston back to the cylinder ground. 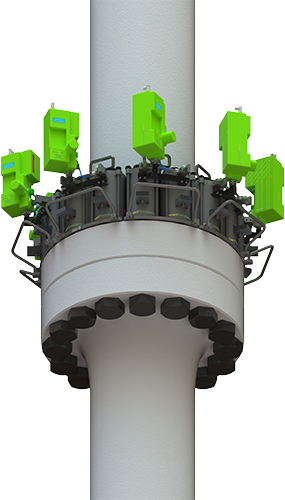 HPR uses a closed hydraulic system. As it is premounted, no changes have to be made to the BT for operation. The HPR uses a special version of our HydraulicPump that includes a valve that is connected to the main cylinder as well as to the HPR. To activate the HPR, just turn the knob - that’s all! 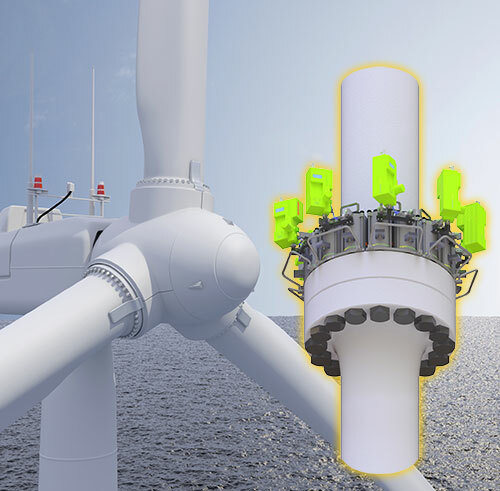 On the top of each BT, a sensor determines whether the main piston should be moved beyond its admissible stroke. If so, leakages and process delays might occur. To prevent this, our PSL is connected to the HydraulicPump, which will stop further operation. The operator is informed on the pump’s display. The hexagon nut that remains on the flange is covered by the BT and is difficult to access and to turn manually. Therefore, the BT features an NTD that allows the nut to be turned either with standard wrenches, torque wrenches or cordless screwdrivers. It allows sufficient torque to be applied to turn sluggish nuts. There is a problem with your browser. Please visit www.smartTensioner.com.